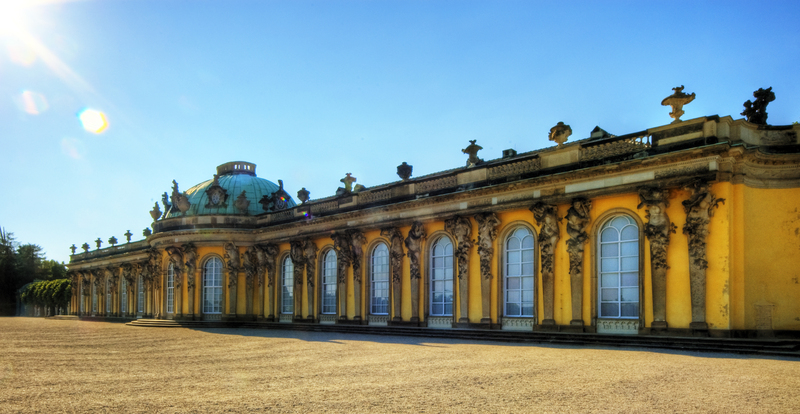 Potsdam is a city of UNESCO World Heritage, a city of parks and palaces on the idyllic lakes of the Havel, a grand and historical city of culture, a center of film, education and science, characterized by a 1000-year-old history as a royal capital and State capital near Berlin. You can discover countless monuments in and around the historical city center. International influences from France, Switzerland, the Netherlands, Russia and many other countries stimulated development and left their mark on architecture, the trades and way of life. Today you can see this in particular in the Dutch Quarter, in Weaver’s Square in Babelsberg or in the Russian Colony Alexandrovka. The unique buildings and landscapes were royal residences of kings and have been ideal settings for filmmakers since 1911. The tradition as a media center goes back to the past. To this day internationally renowned films are produced in the Babelsberg Film Studio. Films like The Blue Angel, The Pianist, Around the World in Eighty Days and Inglourious Basterds were made here. Theatre, art exhibitions, museums and music in the House of the Brandenburg-Prussian History, in the Nikolai Concert Hall, in the Schiffbauergasse with the Hans Otto Theatre, the Musical Festival Sanssouci and the Schlössernacht Potsdam are only a part of the cultural range in Potsdam. Science, in combination with commercial enterprises and non-university institutions, defines the future development of the State capital. The ratio of scientists to the population is one of the highest in Germany. More than 40 scientific institutions operate in Potsdam and its environs. World-famous companies like Oracle and VW have established branches in the Schiffbauergasse at the lake Tiefer See.